Wimbledon 2018 starts on Monday, 02 July 2018 with the singles first round matches. The qualifying round will begin on 25th June while the first round draw will be made on 29th june. The schedule is confirmed for the singles event but the order of play will be announced on 30th June and changes will be made according to how the first round plays out. BBC will continue to broadcast the Wimbledon in England and will also produce the world feed set to be used by channels across the world. It will be the 132nd edition of yearly tennis major grand slam “Wimbledon Tennis Championship” and will be played through 02 July to 15 July 2017 in Wimbledon, London. Men’s singles champions Roger Federer will start his defense of his 2017 title in what will be the most eagerly awaited tennis tournament this year. BBC sports has the exclusive rights of broadcast in the United Kingdom and they will air most of the games on free-to-air channels. Some of the International channels will be using BBC produced feed. 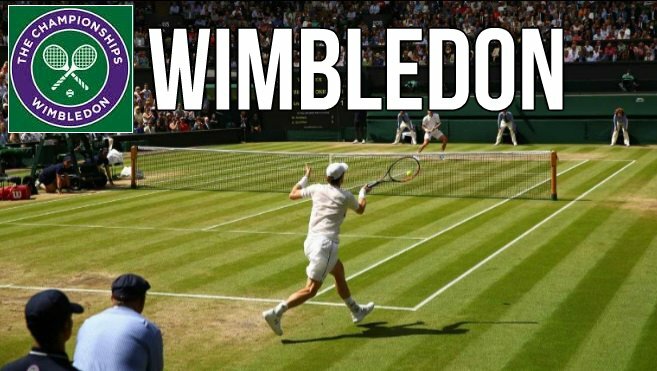 ESPN will be showing Wimbledon in United States but if you want to see most of the matches in US, you can subscribe to the “tennis channel” which is a 24/7 dedicated tennis coverage. The schedule has been announced and below you can find the tentative dates on how both men’s and women’s singles matches will be played on what date and time. The order of play for next day is usually announced just after the end of days play. I wish you included a way to convert UK time to local. I’m in Pacific time so I’m constantly adding 8. That must be so hard for you. @judy … maybe you’d have more success if you deducted 8 hrs? The best and the brightest ! So where are the links to Live Stream for the Wimbledon? It says in the article that they will place the links just prior to every match. Thank you so much! Being able to watch really brightened my day! why do I see continued matches from 3 days old ??? ?